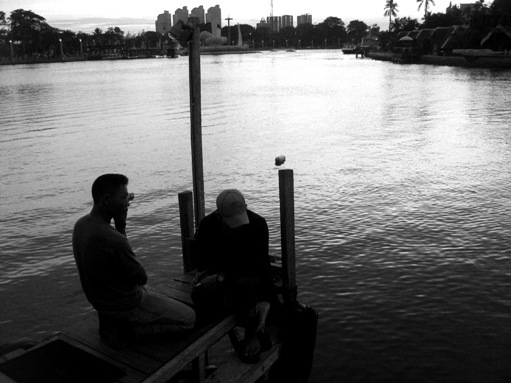 These men -the boat owners, I guess- were waiting for their boats returning from taking passengers around. I love the framing and light, very poetic! perfect b & w picture!!! Ah ... waiting does something to one's patience. I like this a lot! Nice candid photo. Lovely light on the water. A fine composition. interesting angle of this shot leaving the center free. Great!